Macropterous, largely pale but strongly bicoloured; head brown but postoccipital region and pronotum yellow; meso and metanotum dark brown, meso and metasternum light brown; abdominal segment I yellow with antecostal ridge interrupted medially, II–VI yellow with III variably shaded anterolaterally, antecostal ridges weakly shaded but only laterally, VII–VIII dark brown, IX–X mainly yellow; legs yellow; fore wing banded, dark at base including clavus, with pale sub-basal area before brown band, with second light brown band before pale apex. 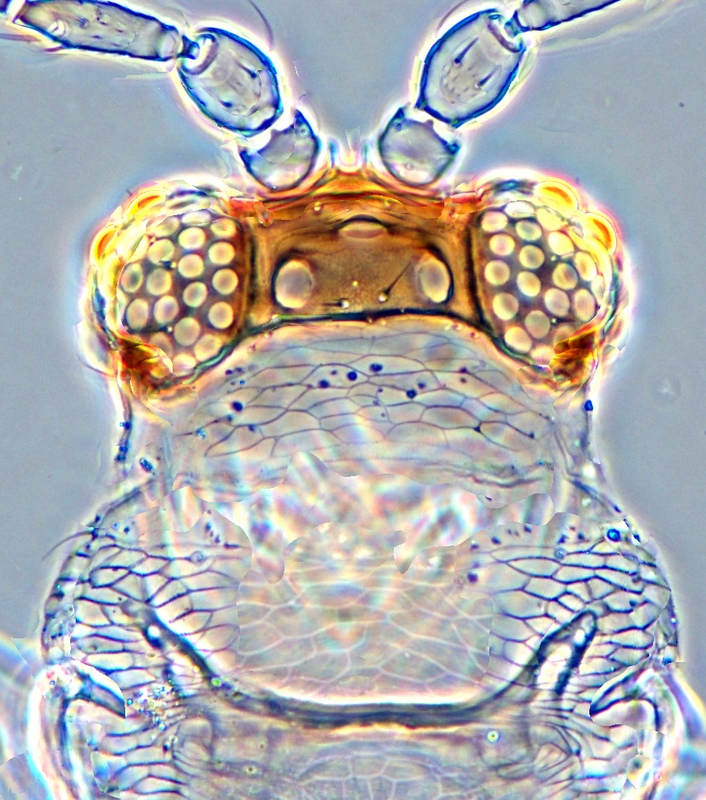 Antennal segments mainly yellow, with faint shadings at apex of IV–VI. Head with occipital carina close to eyes; ocellar triangle without sculpture lines; ocellar setae III close together between posterior margins of posterior ocelli; two or three pairs of postocular setae, median pair long; postoccipital region with transverse narrow reticulation. Pronotum transversely reticulate without internal markings, blotch weakly defined. Mesonotum with closely spaced striations, and small lines between the major striae. Metanotum with linear reticulation, many small linear markings between major sculpture lines. Metasternal anterior margin transverse. Fore wing with distal setae widely spaced, no setae on second vein. Tergites I–VI medially without marginal microtrichia; V–VI with few discal microtrichia medially. 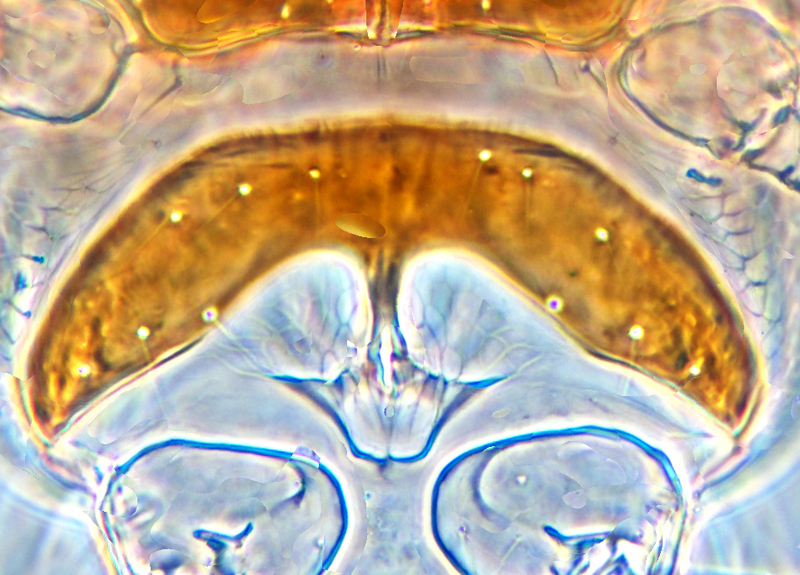 Sternites II–VII medially without marginal microtrichia, discal microtrichia not extending mesad of setae S2; VII with marginal setae arising on discal area. 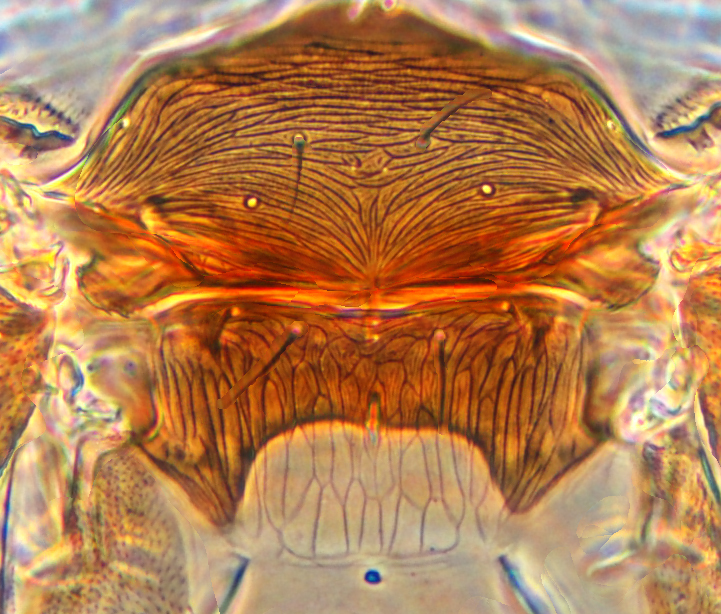 Male similar to female, sternites without pore plates. 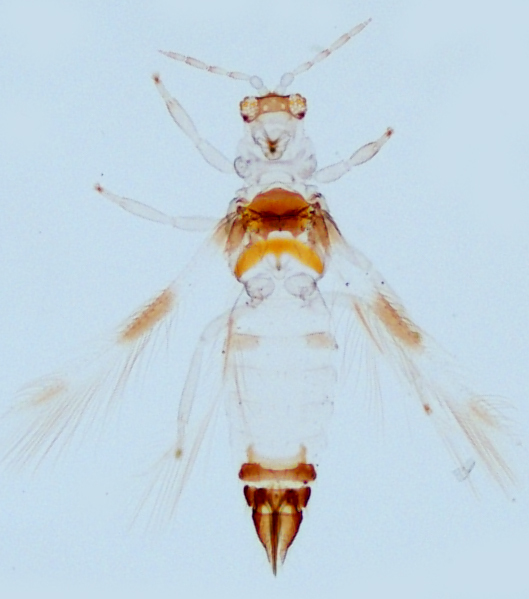 Among the nine species of Neohydatothrips known from Australia, this species is unique in the position of ocellar setae pair III between the posterior margins of the posterior ocelli. Northern Australia, between Concurry in Queensland, Darwin and Bathurst Island in Northern Territory, and Kununurra in the north of Western Australia. Copyright © 2019 OzThrips. All rights reserved.